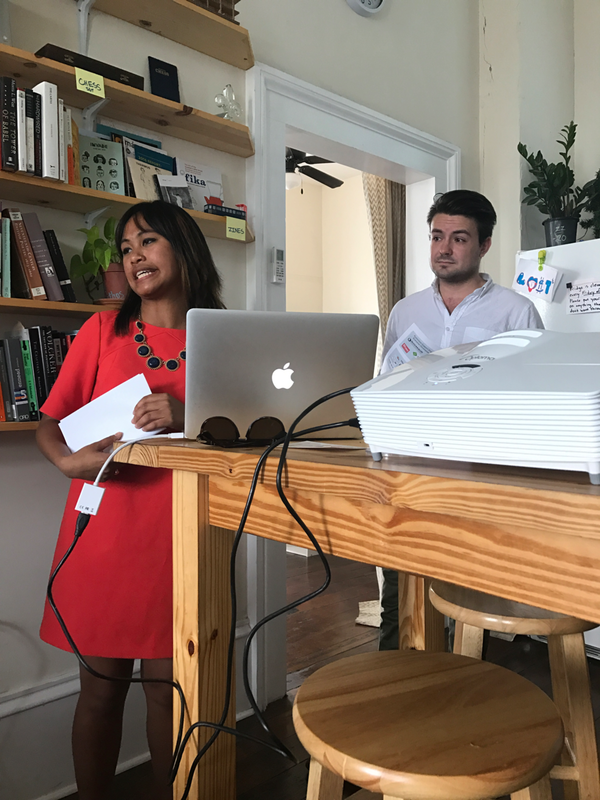 TL;DR: I pitched and co-produced City as a Startup, a tech conference exploring themes of entrepreneurship in emerging markets, that was held during this year's New Orleans Entrepreneur Week. I led the entire process from conception through the day-of, managing a team across various focus areas. 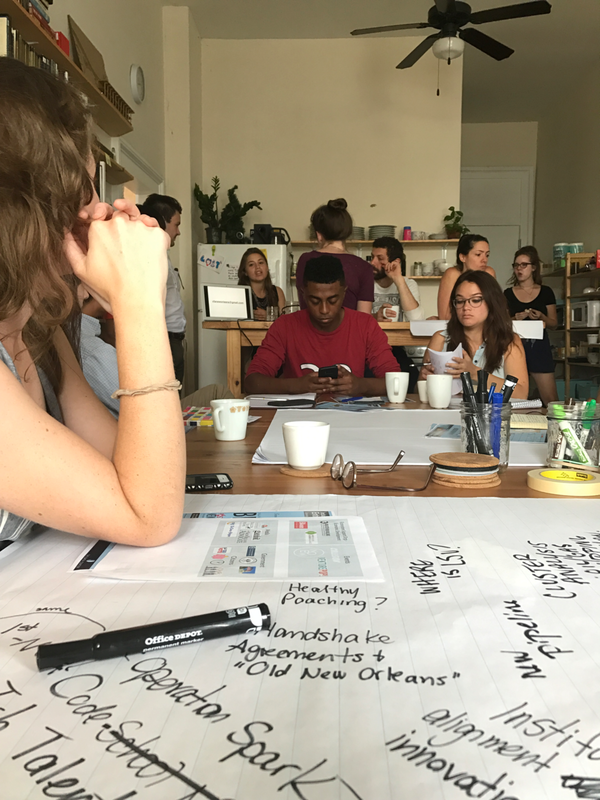 Together, we employed elements of user-centered design thinking and rapid iteration to develop the event's programming which centered on inclusive innovation, pipelines for diversity, NOLA by data, and the irony of New Orleans food culture. Out of seventeen speakers, over 30% were female and 60% were African American, Asian-American, and Filipino-American. A diverse team ourselves, we were proud to showcase the New Orleans we knew and lead by example. 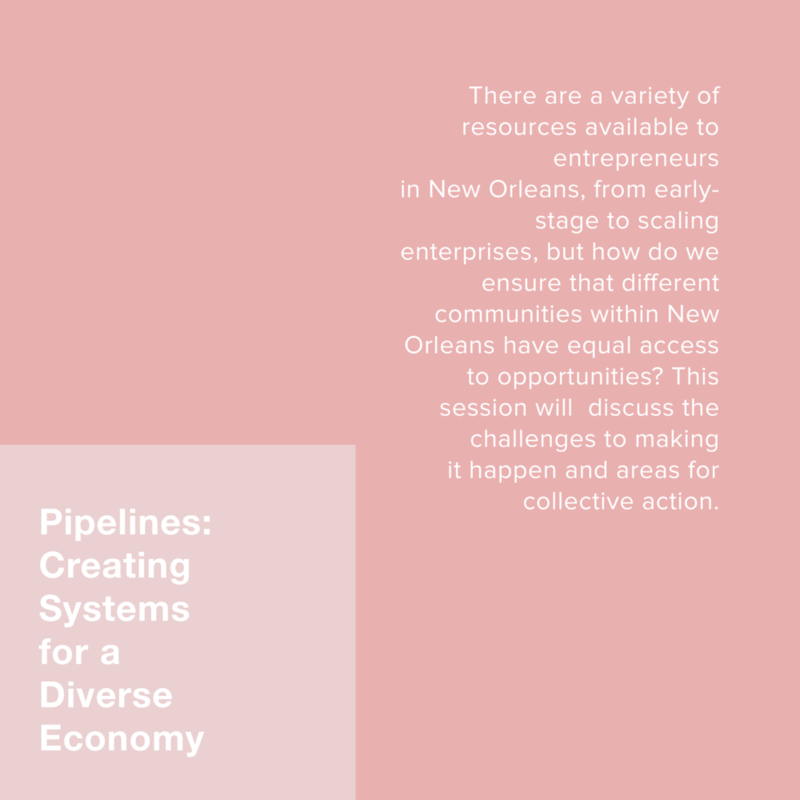 Create, plan, and host a conference around diversity and inclusion in tech, with a specific look at the landscape of progress in New Orleans. City as a Startup Conference is an annual summit produced by Venture for America fellows. 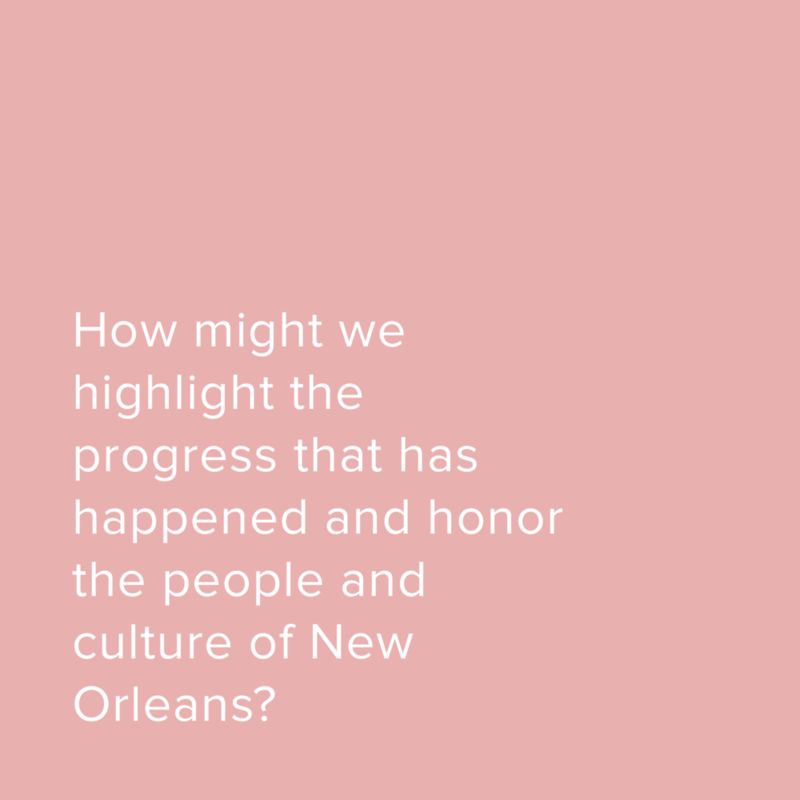 I submitted a proposal to create, plan, and host the event in New Orleans and was awarded the honor, out of 18 cities and dozens of other applicants. With every year's programming exploring a different theme within entrepreneurship and innovation, the below case study highlights our process for designing this year's programming and experience. What is City as a Startup? Founded for the purpose of bringing together smart and motivated people passionate about improving their communities, City as a Startup has grown into a forum for people to solution around how their cities can continue to progress through entrepreneurship, tech, and development. We held the summit during New Orleans Entrepreneur Week. Led by myself and my co-producer who handled partner outreach and fundraising, our team was comprised of young professionals based here in New Orleans, all of whom were either active VFA fellows or alums. Our core team of 9 was supported by dozens others throughout the process at various stages. Everyone brought a diverse perspective and areas of interest, from NOLA locals, to transplants, to those working in the nonprofit space, to those working at scrappy startups and unicorns. Congrats on your all-male panel! 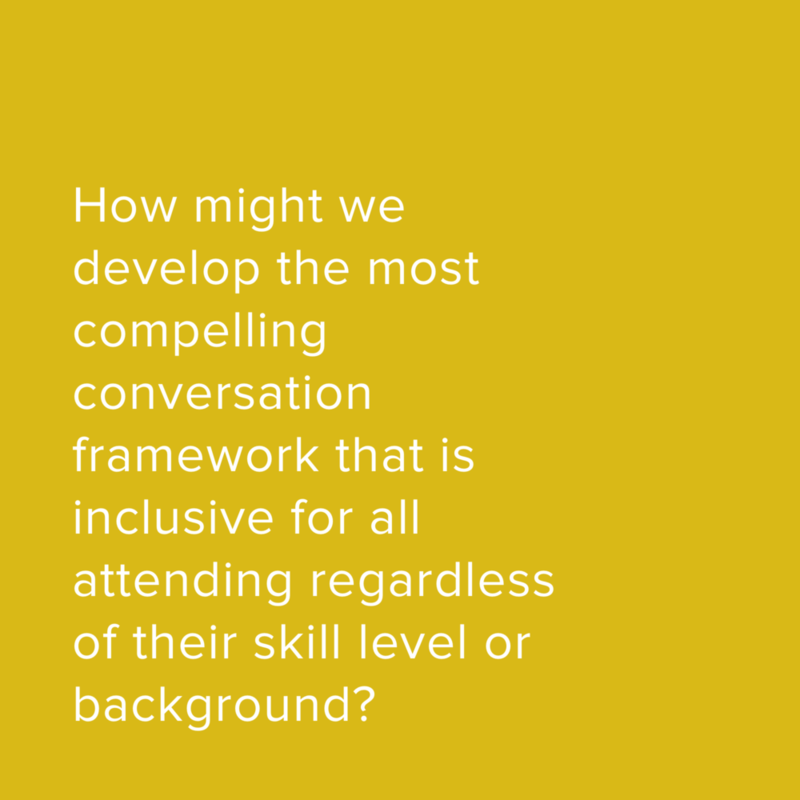 In deciding how we wanted to frame the conversation, we first looked at how others were, both nationally and locally. The discussion of diversity and inclusion in tech was not a new topic (though as important as ever). Rather than talking exclusively about what it means to be a woman or a minority in tech, we wanted to create a space that celebrated their identity, while giving them the chance to talk about all the other incredible things they're working on in tech and innovation in the pursuit of a better New Orleans. We also asked why the conversation needed to be constrained to the startup scene at all, and how we could be true to the idea of "hustle" here in New Orleans. The design of City as a Startup couldn't occur in a vacuum. With sponsorships from two large, established groups, we worked diligently to satisfy stakeholder needs within the conference. The exercise of designing City as a Startup was somewhat meta. The magic of creating this content, is that in reality, we were designing a design challenge. Our goal was to construct a framework for ideation (ie the conference conversation). Our panelists, speakers, and guests would work together during the course of the day to unpack the problems presented and hopefully work to solve them (or even ideate further!). We explored existing creative solutions to ideating at scale. Hosting our conference during New Orleans Entrepreneur Week(NOEW), one of the largest free tech conferences in the US, we could assume that our audience would be a varied and diverse bunch. Beyond that we knew little else of what our audience would look like. Our programming didn't happen overnight. In fact, it took almost six months just to design the framework and secure speakers. We went in a dozen different tangents trying to discover, together and apart, what unique perspectives and conversations were the most important. We had to iterate and ideate in real-time. Every week introduced new challenges and we continually cycled through concepts, themes, and difficult conversations as speakers became unavailable, and new information regarding our parent event, New Orleans Entrepreneur Week, came to light. In order to stay true to our target audience and our purpose, we developed "How Might We" statements that guided our brainstorming and testing. 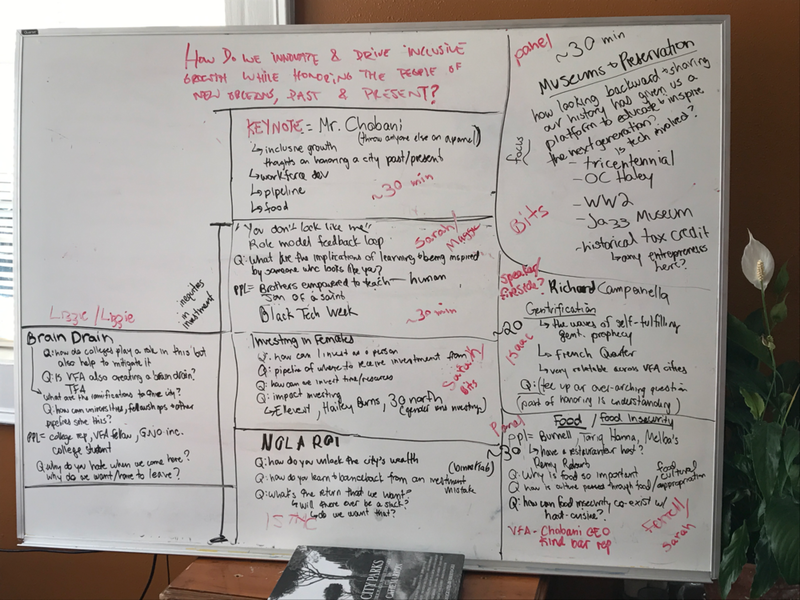 Between each bout of brainstorming, team members worked independently following leads and further refining potential programming ideas. Entrepreneurship looks different in New Orleans. For most New Orleanians, they would never self-identify as an entrepreneur. That's why our final programming design centered around exploring expressions of entrepreneurial thinking and action in unexpected places, while also exploring the ways in which our city's data capture is evolving to recognize growth and innovation in these areas. We looked at the pipelines in place that fed these areas and how they were succeeding, but also falling drastically short. The “renaissance” of the past decade has been remarkable in many ways, but has it been felt by all? This session will explore how we can measure the progress of urban development through data, the metrics that are being used to quantify it, and the trends that pose the greatest risk to inclusive growth.